The Gunpowder River is flowing at 38 Cfs and is 56 F. Most of the water in the catch and release section is in the shin to knee deep range. The fish are looking up and taking a majority of flies in the #18-22 size range. 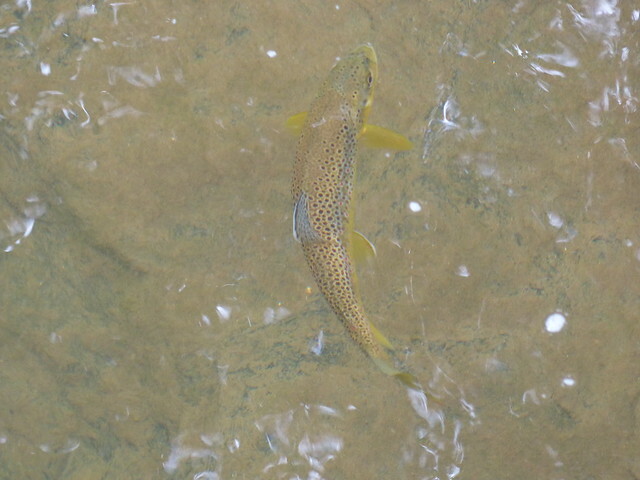 Wild fish in the Gunpowder River are concentrated along shelves, tailouts and bend pools. Long fine leaders are essential for tricking fish this time of year. Start with a ten footer and plan on adding some 7x. For those intent on stalking the the flats 8x is not out of the question-just be mindful of your hookset. Now is the time to dust off that three weight fly rod you swore that you’d use in low water. Sometimes a line of leaves upon the water can reveal where the current is and where the Olives, Midges and Tricos are…the rest is up to you. This entry was posted in fishing report on September 26, 2014 by Theaux Le Gardeur. The Gunpowder River is gin clear, flowing at 37 CFs and is 58 F. With air temps in the high 40’s every morning, it takes a few hours for the fish to start moving on the tiny BWO’s and trico’s. 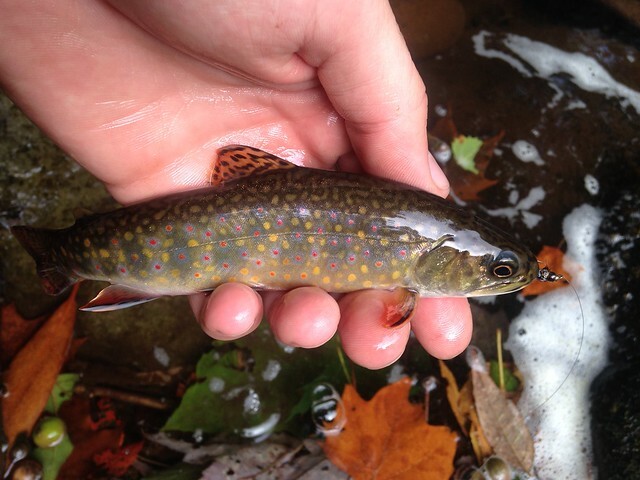 By mid-afternnon caddis are peeling off in the riffles. The fishing is tough but long, fine leaders ending in 7x will result in surprisingly quick takes-especially in the shallows. The evening light on the bean and cornfields surrounding the Hereford Area is warmer now. One can no longer see to fish past 8 PM. The acorns are already dropping–a reminder that summer is already fading. 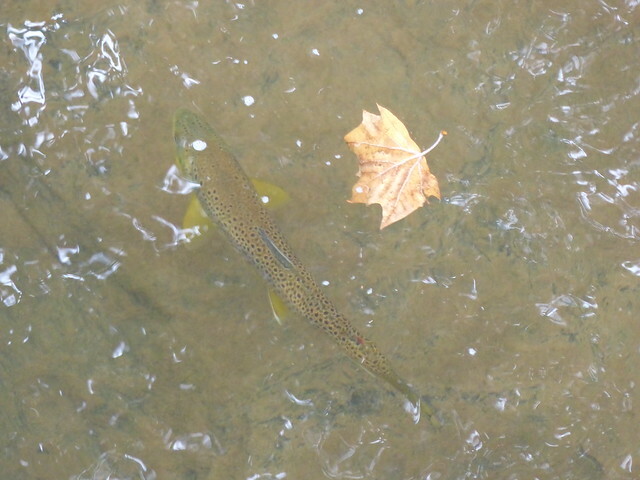 Time spent afield this time of year is always worthwhile especially on the Gunpowder River. This entry was posted in fishing report on September 19, 2014 by Theaux Le Gardeur.